Howdy y'all! My wife and I are heading back up to Colorado this year. 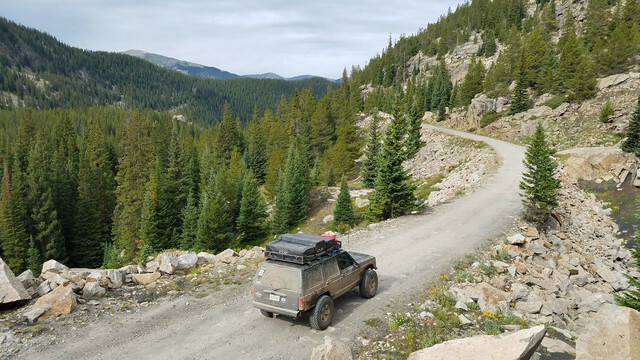 This will be our 3rd annual trip to Colorado and our 2nd backcountry trip along the 675-mile Colorado Backroad Discovery Route. Last year we drove 1,000 miles to Four Corners, NM to begin the COBDR and then 1,100 miles home from Savery, WY where the route ends. We chose Imogene Pass, over Ophir to Ouray. Then detoured around Cottonwood Pass since it was closed for construction, by taking the much more technical Hancock Pass from Pitkin to Buena Vista. The Jeep was a 1997 Cherokee (XJ) 4x4 5-Speed Manual with a 3.5" Old Man Emu Dakar HD lift and 285/75R16 Firestone Destination M/T's. 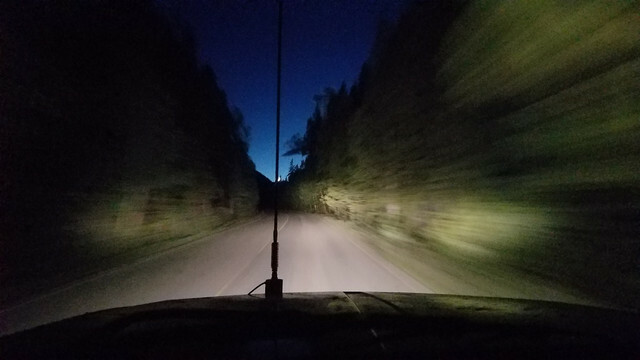 All in the trip was just under 3,000 miles over 8 days, including around 65,000' of elevation gain/loss, 10 off-road mountain passes, 4 nights camping above 10,000', and a pressure washing from Hurricane Harvey on the return trip. This time around will be our first time into really remote areas with the Montero, so I'm stoked to have the opportunity. My best bud is also driving up from Pheonix and meeting us in Delores with their FJC. We're only planning to do about 350 miles of the BDR, taking a slower pace as well as spending the 4th of July in Ouray. I'm really stoked to stretch the Montero's legs as a dedicated overland rig in such beautiful and remote territory. I plan to be up there some of those dates, Lloyd will be too. Maybe we'll meet up. 1st - 3rd: Between Delores and Telluride around Groundhog Mtn. 4th: Telluride to Ouray via Imogene, then Ouray half the day. We'll head to Corkscrew Gulch after sunset/fireworks. 5th: Northern Alpine Loop to Lake City, Cathedral, all the way to Pitkin possibly. 6th: Pitkin area to Buena Vista via Hancock Pass, camp in the Collegiate Wilderness somewhere. 7th: Sylvan Lake in the White River Nat'l Forest, start heading home. We're now 2 weeks out and the plan has adjusted a bit. - We're leaving June 29th after work and planning to be dropping into the Dolores River Canyon Northeast of Dove Creek sometime that evening. We'll likely make camp at the first river camp and wait for our friend's from Phoenix to make it up. Toasty, if you're in the area let me know. This route through the Dolores Canyon is going to be fun: 28 miles, 5 river crossings, and then on the Northern side we'll traverse the network of Uranium roads over to Telluride. We'll probably try to set camp up somewhere on last Dollar Rd. Then we have the next couple days to explore the area before planning to be in Ouray for the 4th of July fireworks and parade. After the 4th, we'll take Corkscrew Gulch up to Hurricane Pass and then over Engineer to take the Northern half of the Alpine Loop to Lake City. - Then onward to Pitkin via last year's Co BDR route. I'm probably out, the Sierras are taking more out of me than i had planned. Have fun though, i thought there were closures up there from it being really dry? Anyway, I know it's cold but walk each crossing all the way across if you're not sure of the depth. LT found a really deep hole on one of the crossings and i had to overnight him a dizzy so he could continue the trail. That's Lordtrunks neck deep in freezing water, i think there's a video on youtube too. I will be there 7/3 end of day on through the weekend. We are meeting a realtor at 3:00PM in Silverton to look for a piece of property to build a retirement cabin. After that who knows. Those considering going its completely bonkers. Normally 4th of July means getting lucky with a few trails open. And never the best trails. I saw a report the Poughkipsee is open! DO WHAT? ? Imogene may be close now and I suspect Black Bear may even be open. It will be a hoot. I am bringing the Power Wagon for some light wheeling to finally get it off-road a bit. We are going to be checking out mining claims, but would be happy to hook up. The San Juan NF is closed, but that's it and that's actually what caused us to find the Dolores Canyon trail around the forest. It doesn't affect the Uncompahgre NF which is where Imogene Pass is located. Poughkeepsie is also in the Uncompahgre as well and it links to the Alpine Loop which is managed by the BLM and is also open. We won't be on Poughkeepsie, but Corkscrew Gulch is also open. - That all said, I'm betting the cancellation of fireworks and other restrictions will reduce the typical 4th of July crowds a bit. Ophir will remain OPEN for through traffic only. No camping. ....Anyway, I know it's cold but walk each crossing all the way across if you're not sure of the depth. LT found a really deep hole on one of the crossings and i had to overnight him a dizzy so he could continue the trail. Crossing the Little Dolores at High Water on the route from Grand Junction to Moab. This route always seems to cause head aches. This was the result of a miss read of the crossing however and the rest made it ok. Also it was VERY high water. Fun trip you have planned enjoy. I made it the last two years but won't be getting up there this summer. We're back. 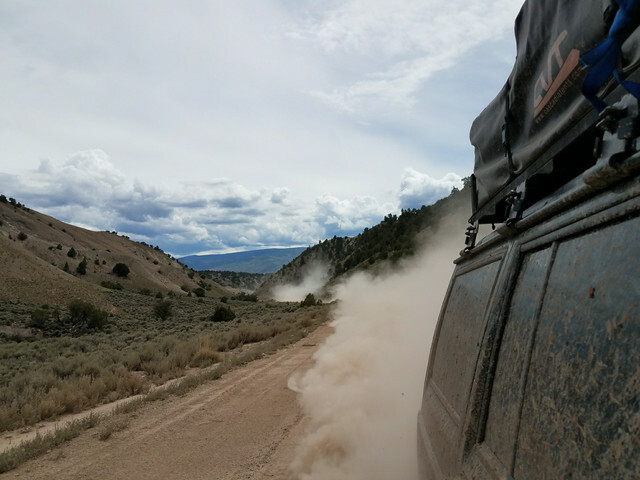 The trip was a complete success, but we nixed the Dolores River Canyon in favor of getting into the mountains a day earlier. Dope dude! love it! My gears have finally arrived so I'm nearing expedition capability again with Goldi-Locker. The 33's and 4.27's made it out of my budget to get back up to Colorado this year, but that's all changing soon and My sister and her husband are planning to visit in October, they really want to see some of Southwest CO in the early fall. They also want to see and camp along 550 and although it's depending on how much time they have to visit that will dictate how deep and far we go, I'm really itching to explore more of that area. Waterfalls, everywhere. Right on! Now that we're back, gearing has definitely risen to near the top of my to-do list. I'm hoping to have 4.90's done in the next few months. I'm not sure what our plans are for 2019, but I know we are driving down to Monterrey, Mex. in March to go camping and wheeling with some locals.